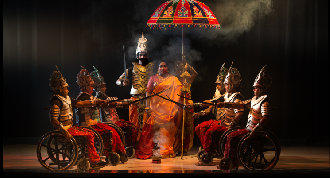 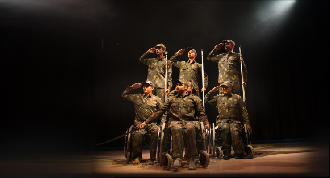 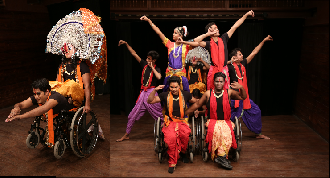 The Bhagawad- Gita (Song of God), the famous conversation between the warrior Arjuna and the supreme being Krishna- posing as Arjuna’s Charioteer- at the onset of the battle of Kurukshetra comes alive on Wheelchairs with dynamic performances by differently abled artistes. 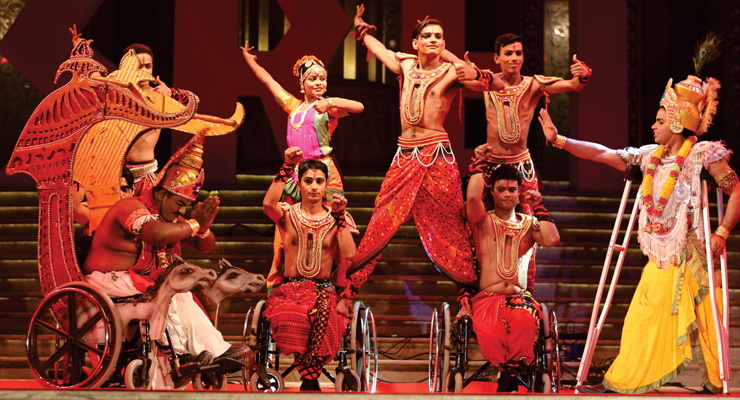 The Bhagavad Gita comprising 700 verses in Sanskrit, is a part of the great epic Mahabharata. 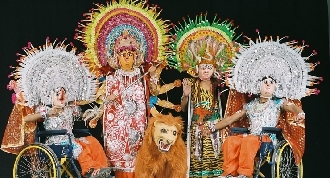 The Gita, where Krishna explains all the essential spiritual truths ; the difference between the soul and the body (atma and paramatama), the difference between the soul and the supreme soul (God), the science of reincarnation, the nature of time, the ultimate goal of yoga, and why different kinds of religion appeal to different kinds of people. 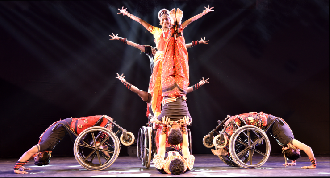 Innvation on Wheelchairs and Crutches : In this performance wheelchairs transform into a chariot, horses, the crutches transform into bow and arrows and showcase the ultimate purpose of human life. 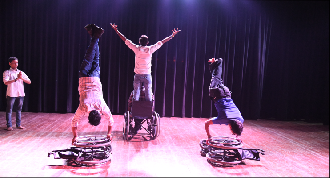 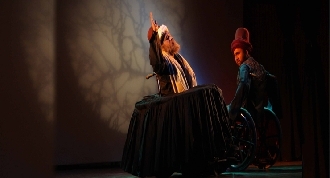 In this production wheelchairs are not the symbol of disability it is a symbol of ability. 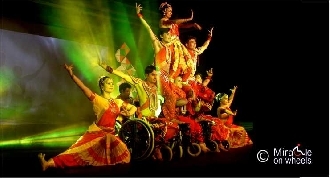 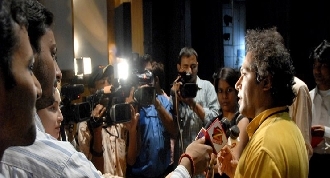 Syed Sallauddin Pasha, the innovator and choreographer of Sanskrit production Bhagawad- Gita has put his life into the production. 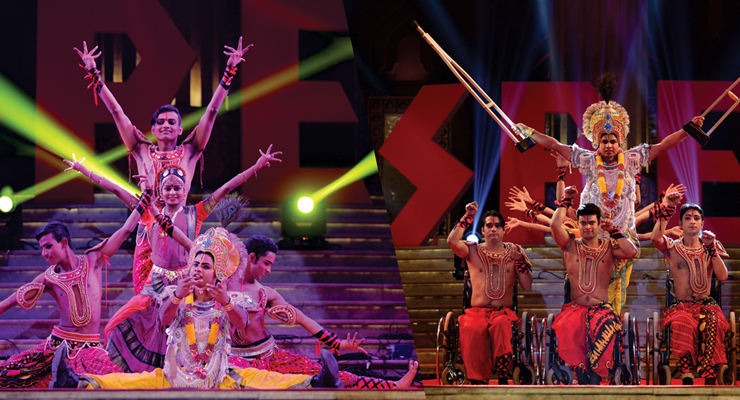 When you witness the show you will be transported to the battlefield of Kurukshetra. 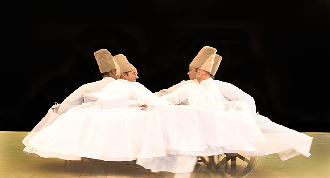 Born as Muslim Dr. Syed Pasha studied Sanskrit, Vedas, Upanishads, Ramayana, Mahabharata and Bhagawat Gita, It is many years of his hard work and penance (tapasya) he has created this this lifetime’s unforgettable performance.